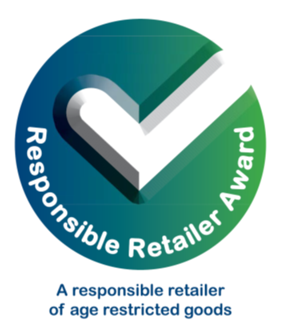 The responsible retailer award recognises those organisations that meet legal and social obligations associated with the sale of age-restricted products. The award is aimed at local retailers of alcohol, tobacco and other age-restricted products such as e-cigarettes, knives and energy drinks. preventing illicit tobacco from entering our communities. To register your interest please contact David Miller on 01609 534810. Once you register, trading standards officers will visit you to assess your current processes and to advise as to how they might be improved. Once this guidance has been put in place you will receive the responsible retailer award and your achievement will be publicised. The award lasts for one year at which point you will be re-assessed.